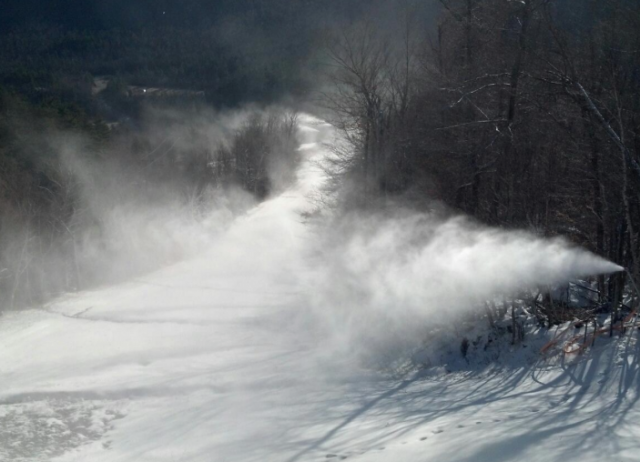 In the Whiteface Region we’ve got you covered. It’s no surprise that after the leaves have changed and fallen the Adirondack Park has a lull in visitors before the snow flies and winter season begins. It doesn’t mean the park takes a break in activities or slows down in things to do. For many of us, this a great time of year to get outdoors. It’s a fun time to hike and mountain bike, enjoy the different views and greater visibility you get now that the leaves are off the trees - plus hike comfortably in pants, long sleeves, and a backpack filled with Adirondack goodies. I like bringing a thermos with hot cider to celebrate fall, and I love the smell of winter in the Adirondack air. It is also one of my favorite ways to get in shape for ski season! 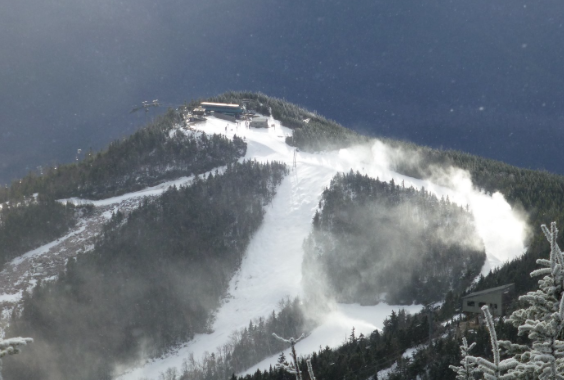 Last week, I sat down with Whiteface Mountain Manager, Aaron Kellett, to discuss my blog topic “no snow, no problem,” and learned from him how just how fitting that topic was at the ski area. I was more expecting to hear how no snow is a problem, but Aaron explained they don’t plan anything around natural snow. And naturally, as an avid snowboarder and skier I was pleased to hear at Whiteface Mountain they’re not dependent on it. The mountain has their preseason routine dialed in getting ready to make all the snow necessary to kick the ski season off. But dialed in, doesn't mean set in stone, every year they seem to be upgrading, improving and tweaking their longtime business of snowmaking. While I’m not going to count to a hundred or list one-hundred items below, I am excited to mention Whiteface ordered 100 new efficient snow guns for this season. In addition to the 35 or so tower guns they added last year. The goal: to replace old guns with new efficient ones. These guns will save the Mountain money, and as I see it, ultimately save skiers and riders money. It will take less energy for the same amount of snow, bringing the cost per acre foot of snow down as the mountain gets to be more green and save money. These guns also fall inline with the mountains green initiative. Only in the ski industry can they put the terms "guns" and "green" (function not color) in the same sentence. Did you know - It only takes Whiteface Mountain Ski Area a few days with the right temperatures to make enough snow to get ready for opening day! ...And if you know anyone at the Mountain, you'll find it's an annual challenge, a game of sorts, for the mountain to beat that date and open early when the weather allows. 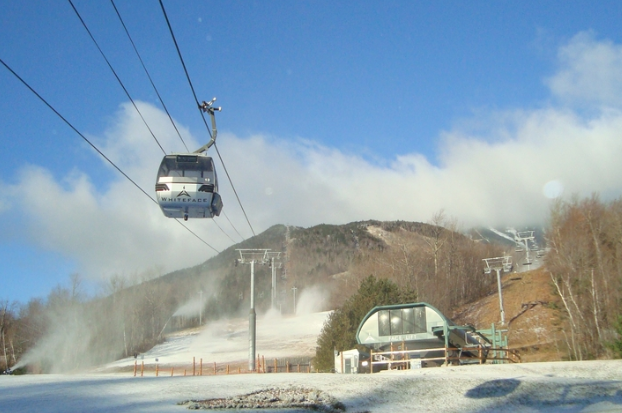 The annual opening for Whiteface Mountain is the Friday after Thanksgiving, at the end of November (figured I'd clarify that point - as we get tons of Canadian visitors and if any are reading this blog, we don't mean Canadian Thanksgiving, which actually falls on our Columbus weekend in October. That would be pushing it - even with tons of new guns!). It is a tradition that families, locals and visitors alike have embraced. Every year families gather for Thursday's Thanksgiving dinner followed by Friday skiing at Whiteface. I’m also really looking forward to a new addition at the Mountain's main lodge this season - appropriately named, The Green House. Whiteface is building a solarium off of the cafeteria on the old lower deck which overlooks the ski area. Soak up some rays and warmth while watching all the on-slope activity and sipping on a cup of coffee, hot cocoa, or perhaps a beer, whatever your style. The Green House plans to be a “green” coffee bar that serves more sustainable (“green”) foods, Rainforest coffee, along with a selection of beer. Completion is scheduled to take place before Christmas - I can't wait! 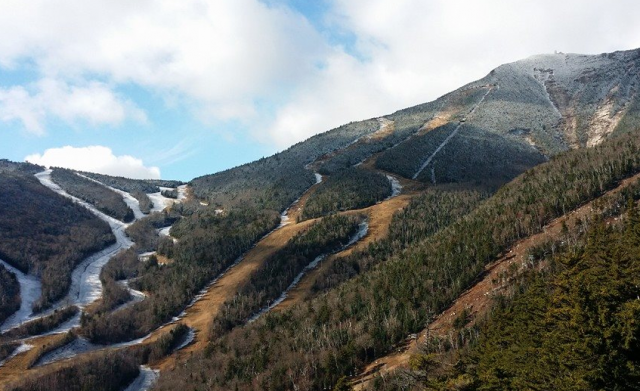 The Whiteface Region is ready - are you? Now is a great time to start planning your winter vacation. 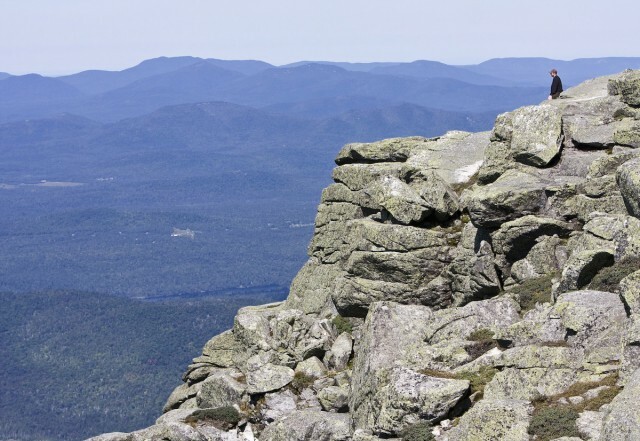 Whether you come here to downhill ski, snowboard, cross-country ski, snowshoe, hike, mountain bike, ice climb, hunt or just relax in the Adirondacks, snow or no snow, there is always something to do. Check area lodging options and the packages page for specials & deals. Whiteface always offers great preseason rates on lift tickets.